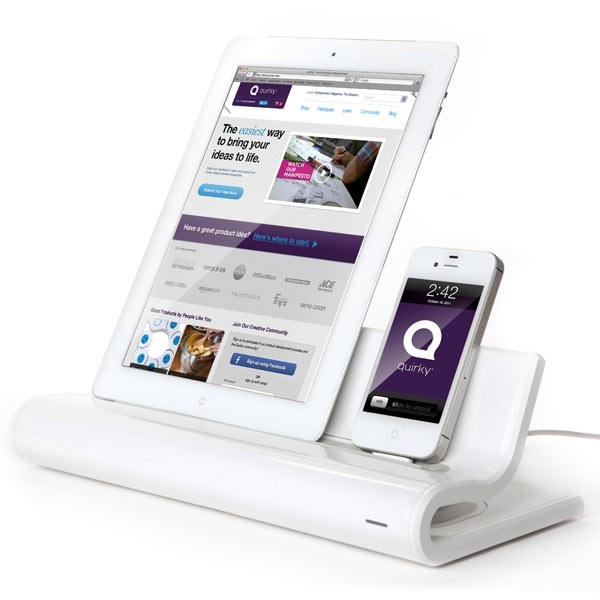 "The Converge USB charging hub from Think Geek is a fun, futon-inspired stand for your iPhone, iPod tour or iPad." Nice looking stand, and it's available now right here. Only $39.95 and you get a clean, compact design that will charge up to 4 devices via USB connectors, all hidden neatly behind the stand.